As a young child Barbara showed an ability to draw at a level far beyond her years. Inspired by her late artist father and her older brother who was also talented at drawing but became a musician, creativity flowed in her veins. She was introduced to pastels at the age of 14 by her high school art teacher, who encouraged her to try the medium. She immediately fell in love with its immediacy and tactile qualities, developing a bond between the pastel on her fingers and the paper surface. Several of her works created during high school were exhibited in local art shows and went on to win Best in Show awards, with one of her first pieces being selected to represent her school in a competition winning the honor of being hung in Council offices. 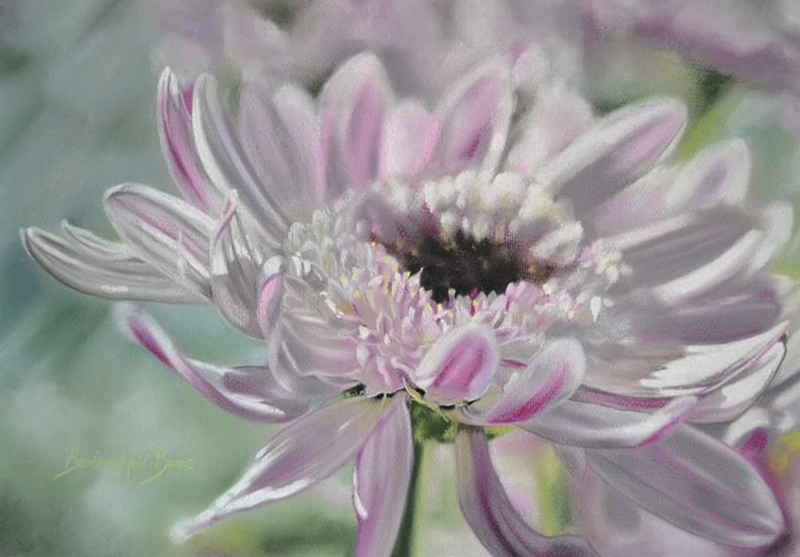 Painting now with pastel for over 35 years, she has been self taught, as the possibility of continuing her artistic studies after finishing High School was not a possibility at the time. Due to a period of personal hardship in her life, she was forced to place her artistic ambitions on hold however always continuing to paint, mainly for family and friends, private commissions, and for many years selling her work on the local Art and Craft market scene. In 2012, Barbara left her full time job in the fashion industry, determined to throw herself back into her art and make up for lost time. With a profound love of colour and an ambition to depict simple subjects with vibrancy and life, her goal is always to evoke emotions of wonder and interest with her subject choices. Since a young girl, Barbara has always had a connection with nature and the simple beauty of her everyday surroundings and life forces which share space around us. 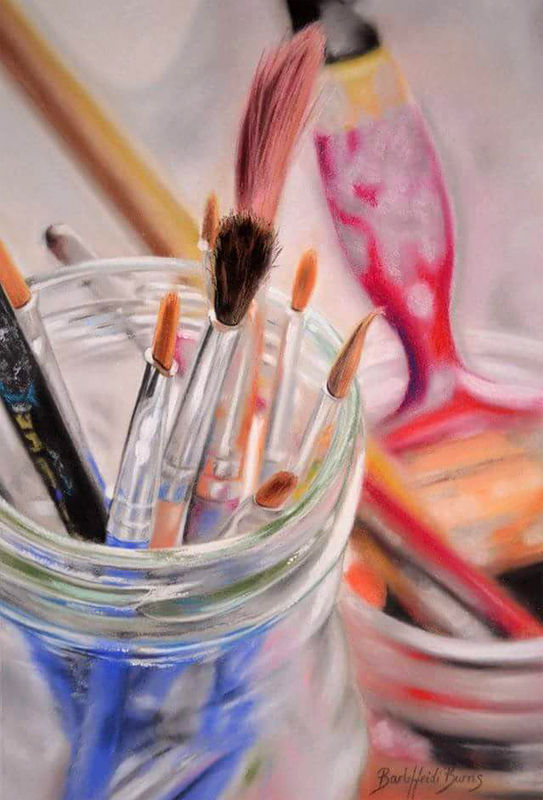 Her passion for the medium is evident in the work she produces, as well as the natural instinctual ability to bring her subjects to life, looking at them in terms of colour, light, texture and composition and how they could translate into pastel. Preferring to work from photos which she takes on the many travels and outings with her husband Daniel who is an enormous support for her passion. She is always looking for the next inspiration to capture her imagination. Barbara does not believe in copying a photo, referring to that as a moment frozen in time, but rather interpreting the feeling and emotion felt when she took the image, bringing it back to life in her work and hoping to pass the same senses and emotions back to the viewer. Her work is in a realist style that has caught the attention of galleries both nationally and internationally. In 2014 being invited to exhibit at the Fine Art at Chapel View Gallery, in Rhode Island. Both works exhibited were sold to a private collector in the US. Barbara has developed a large fan base on her Facebook art page with people from all over the world following her work. 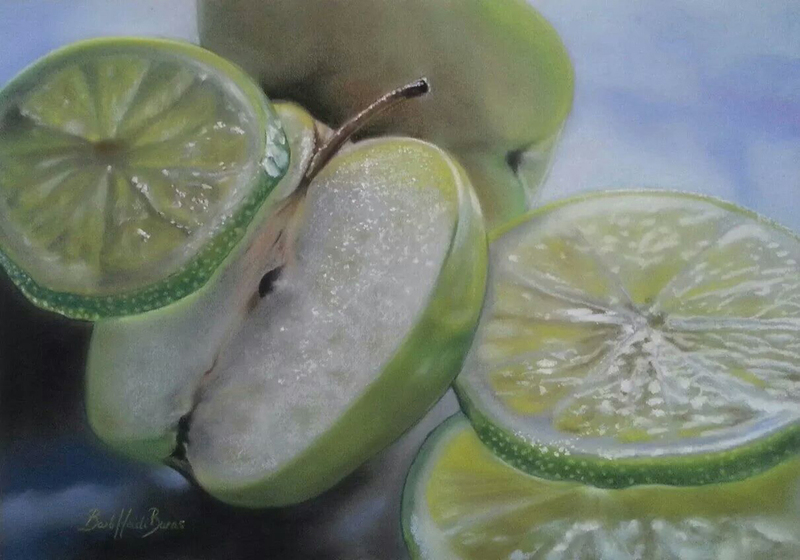 It has been through Facebook that she has met and developed strong friendships with fellow pastellists, like Adrian Frankel Giuliani from the US, with whom she co-administers the Pastel Society of America Facebook Group page along with the President of the PSA Jimmy Wright. In May 2015 her work was published in the UK book ‘Sachet­Mixte­Themes­Pastel­Art Volume 2’ showcasing 10 of her pastel works. Barbara is a member of The Pastel Society of Victoria, Australia and was recently juried in as an Associate Member of the Pastel Society of America which was a tremendous honour.